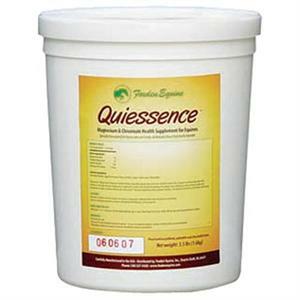 Quiessence® is a Magnesium and Chromium formula designed to support calm, balanced behavior in equines. It may also help animals who are cresty-necked to reduce the crest, and may help reduce the tendency to founder by supporting normal glucose metabolism and increasing peripheral circulation. Quiessence®is natural and legal, with no known side effects. 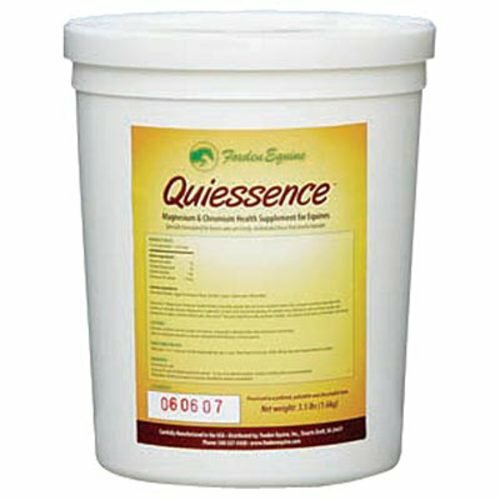 Quiessence® provides 5g Magnesium (4g from Magnesium Oxide, and 1g from Chelated Magnesium), and 1.25mg of Chromium Piccolinate per 1 ounce measure in a palatable, pelleted base of distiller's grains.